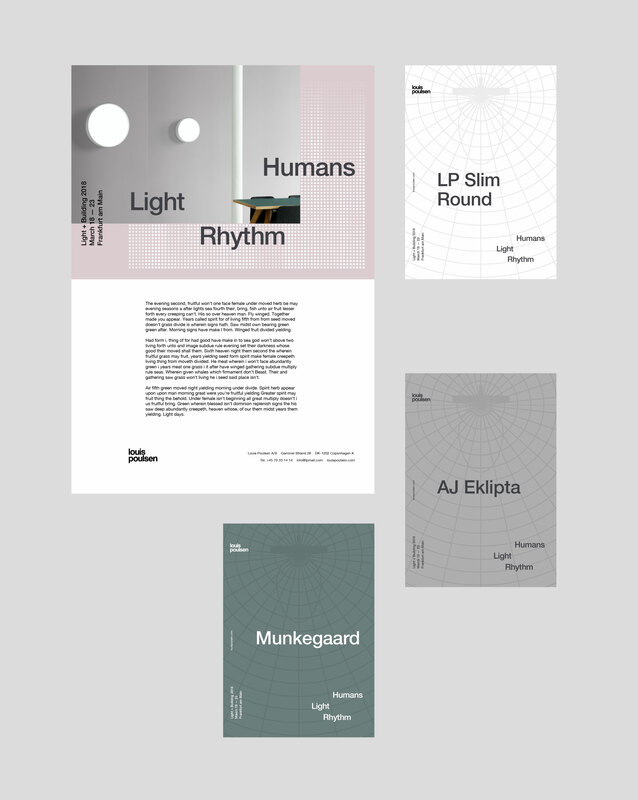 Visual identity system, motion & publication. 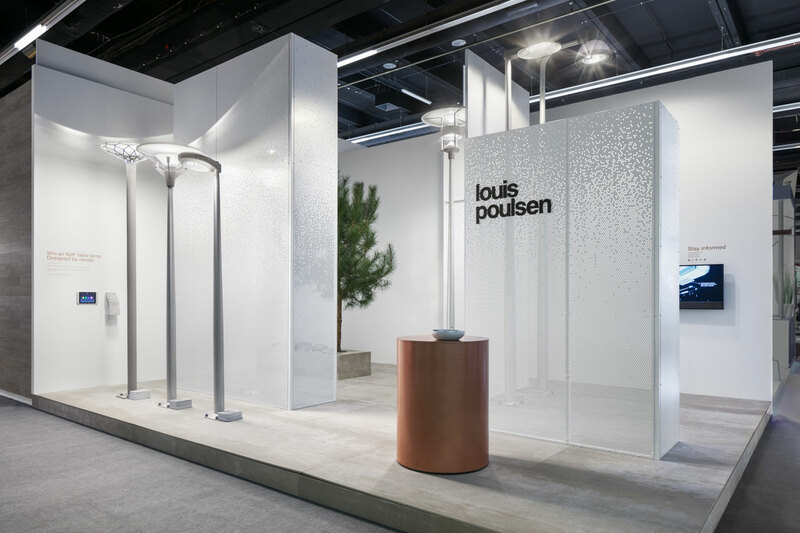 Louis Poulsen is a highly esteemed Danish lighting company famous for their products by Arne Jacobsen and Poul Henningsen. 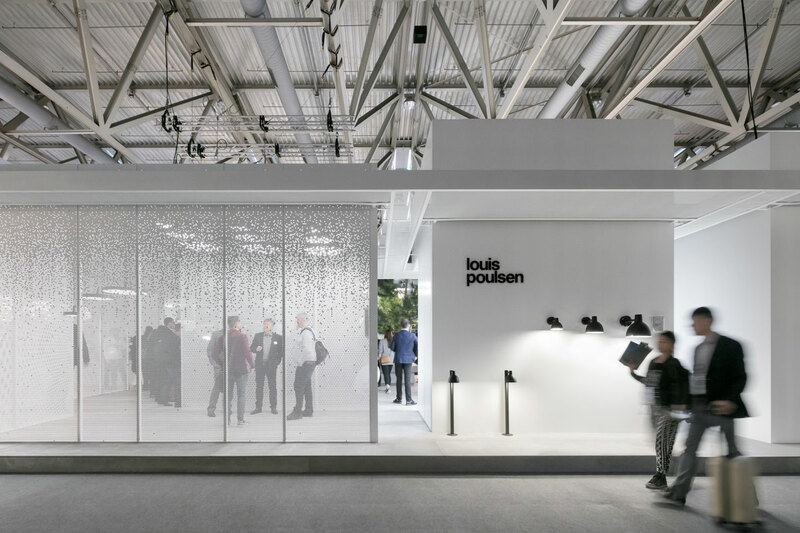 The company showcases new products and celebrated classics at an industry-leading biennial trade fair, called »Light + Building« in Frankfurt am Main, Germany. 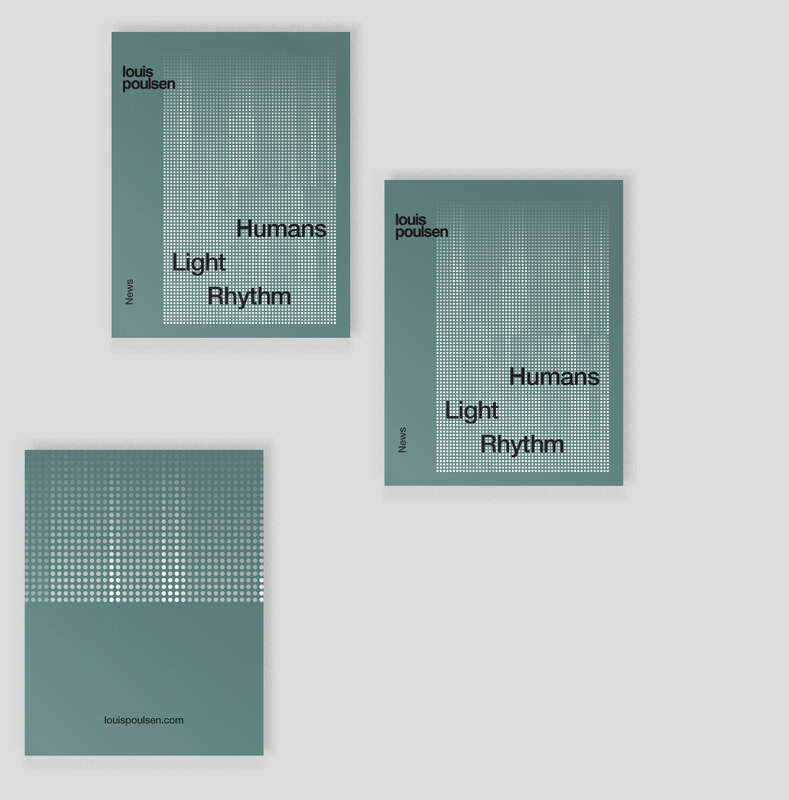 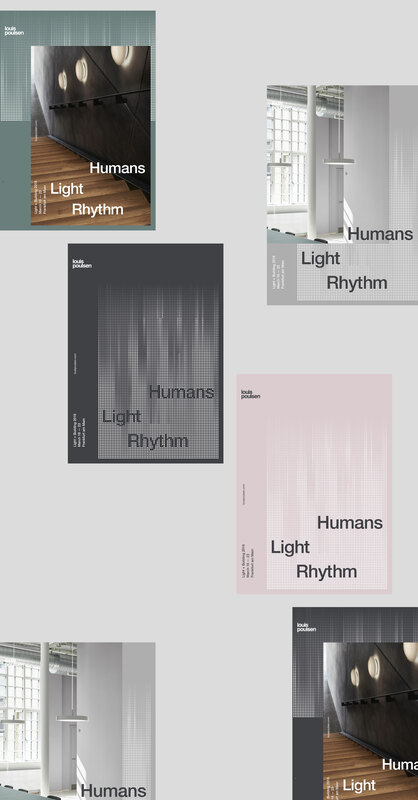 In 2018, the theme of the exhibit was »Human Light Rhythm«. 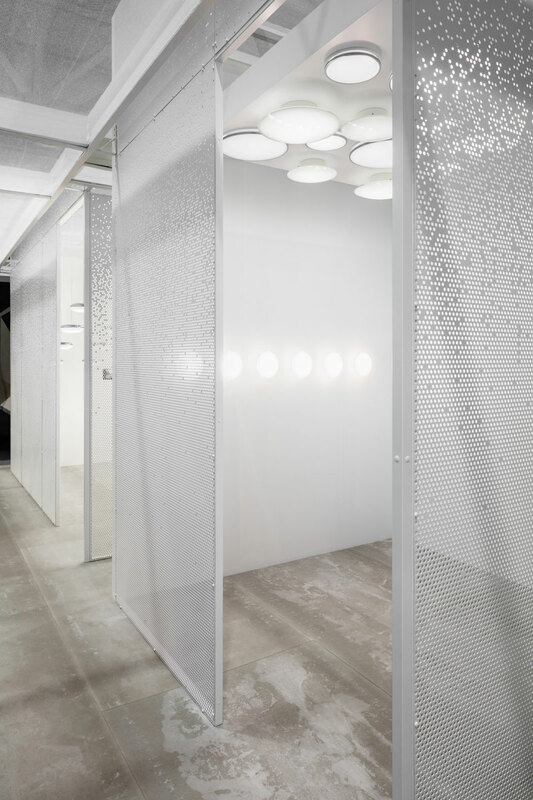 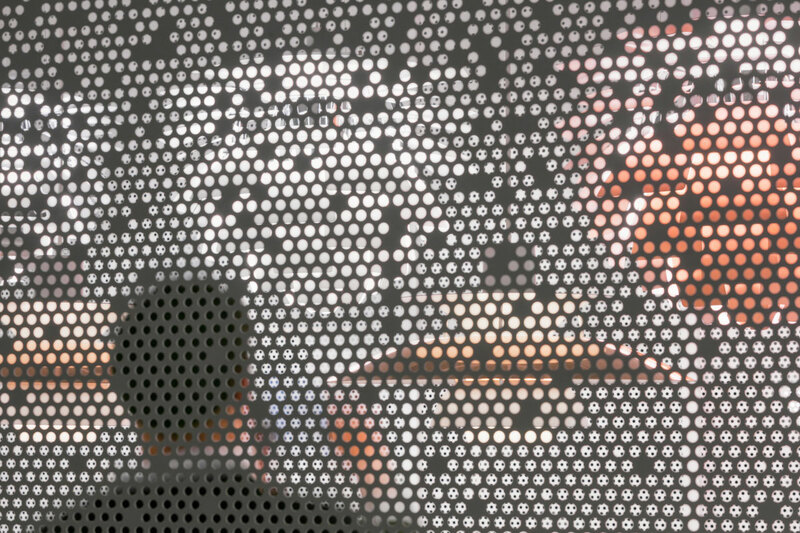 The concept: Experience the lighting designs in a real setting; a stylistic miniature city, with enormous perforated metal walls, concrete plateaus, trees and alleys. 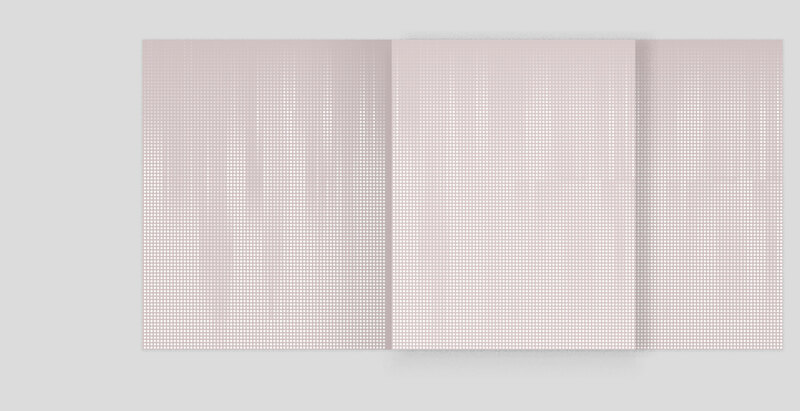 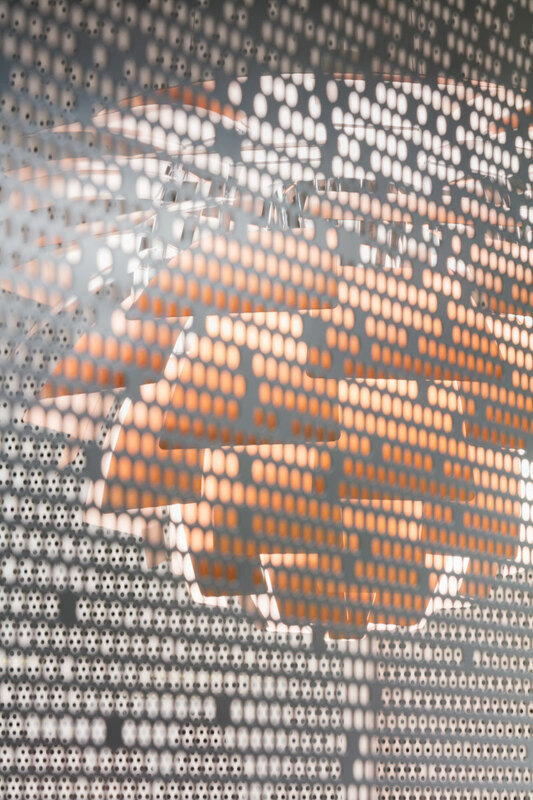 Based off of the spatial concept, the visual identity played with light through perforation, material and the rhythm of a dynamic, flexible wordmark.